When we speak today about Schmidt’s main works, his exemplary organ works and the oratorio The Book with Seven Seals will certainly come to mind first. 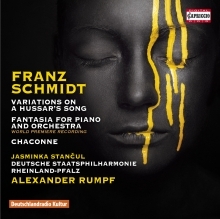 On this recording are some rarities like the Fantasia for piano and orchestra in B flat major, presumably dating to 1899, in which Schmidt anticipates material from his successful opera Notre Dame. 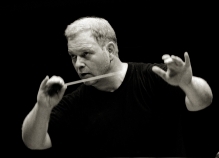 Considered lost for some time, the premiere of the fantasia took place only more than a century after its composition, in the Vienna Musikverein on 8 November 2013. 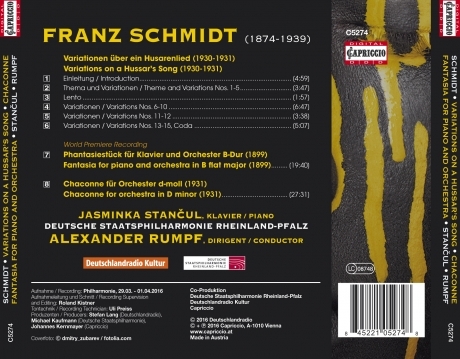 Formally, variation works always held a special appeal for Schmidt, be it in terms of thematic elaborations or in the form of his large-scale Chaconne. In its orchestral version of 1931, it represents an arrangement of the Chaconne for Organ in C sharp minor. The premiere of the chaconne took place during a subscription concert by the Vienna Philharmonic conducted by Clemens Krauss in 1933. The distinguished conductor was also the dedicatee of the Variations on a Hussar’s Song for Orchestra, composed the same year as the instrumentation of the chaconne. They were also premiered by the Vienna Philharmonic under Clemens Krauss in 1931, was repeated by the same performers at the Salzburg Festival that summer and then played by the New York Philharmonic with Bruno Walter for the first time in the USA in February 1932.